adding photos as viewable images on a record? Hope someone might have a great solution for this. I have an enrollments custom object adna students custom object. 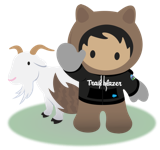 I would love to be able to add photos of a stduent and their emergency contacts (people that are approved to pick them up) in their salesforce record. I could do this as an attachment but how would I do this as a viewable field on a record? Also what sthe best and easiest way to attch these in this way? Upload the images as Documents(in classic) or Files(in lightning) and create a formula field to show the image in the field. Amazing thanks so much! Quick question, is it possible to vie the images in each view, both classic and lightning using either of the two methods? You could also consider making a Rich Text field. In this one field you can have images, as well as formatted text, and links too. All in one field!